You will not all agree on this one, that we are sure but what i think we can agree on is how nice it is to have a bathroom space that is stripped back, refined elegance. 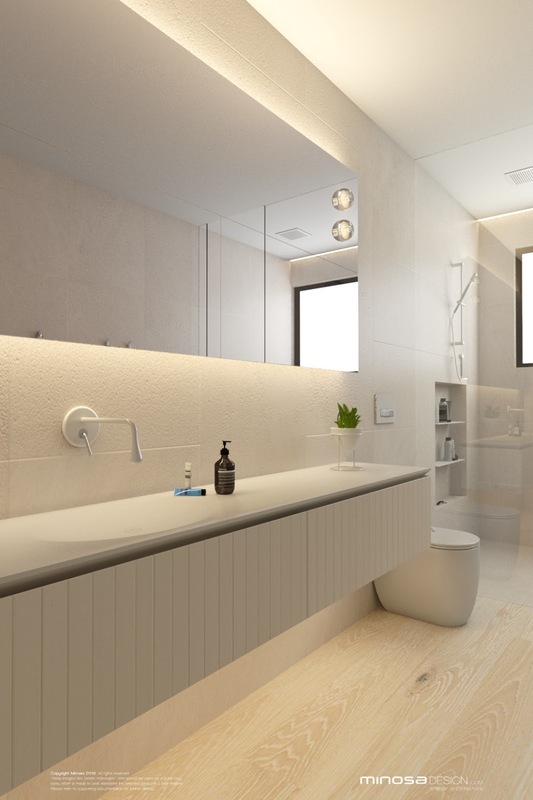 The beachside bathroom design is all about less is more. 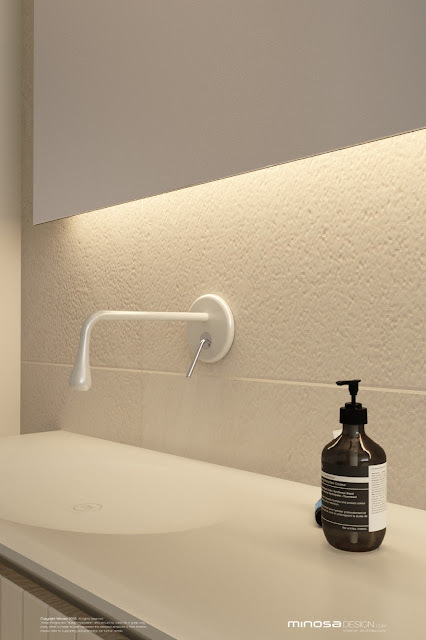 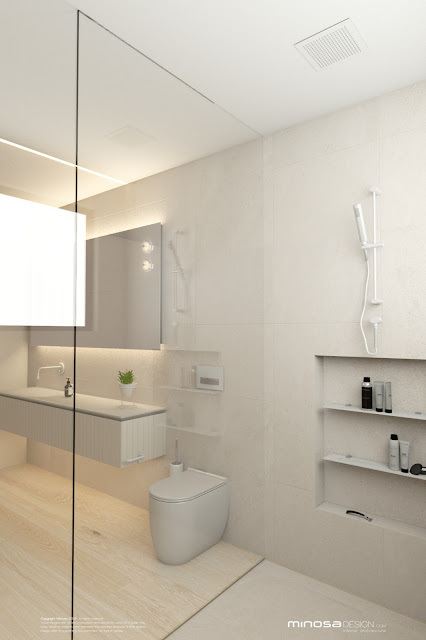 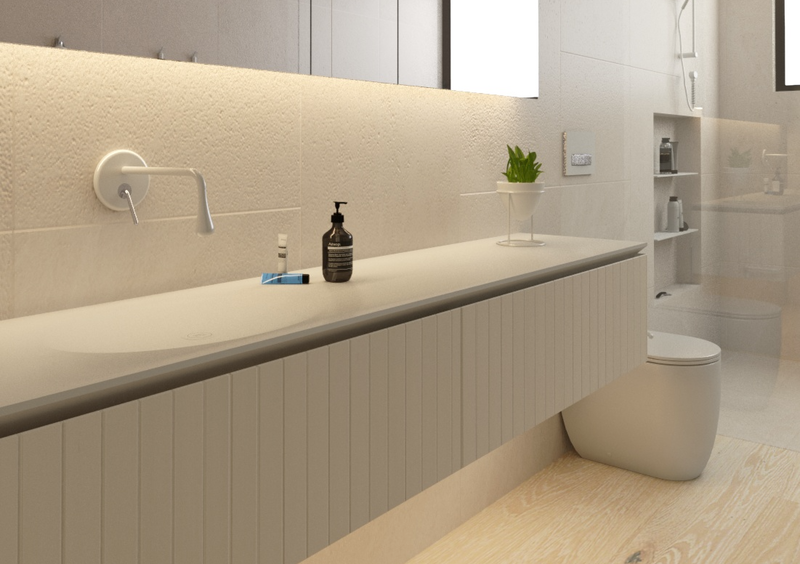 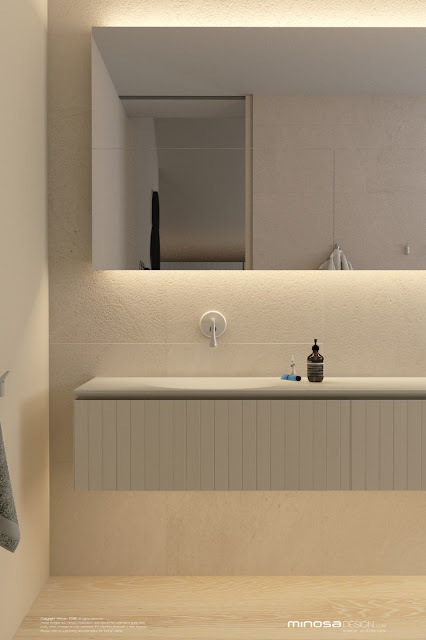 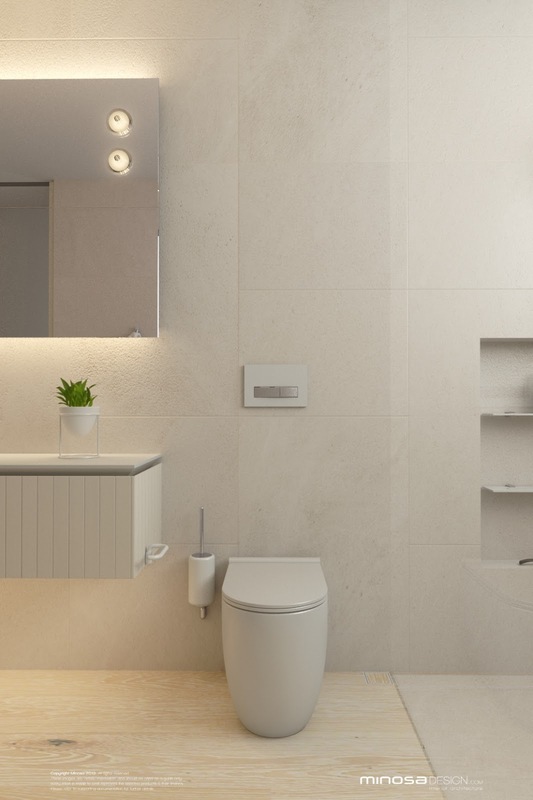 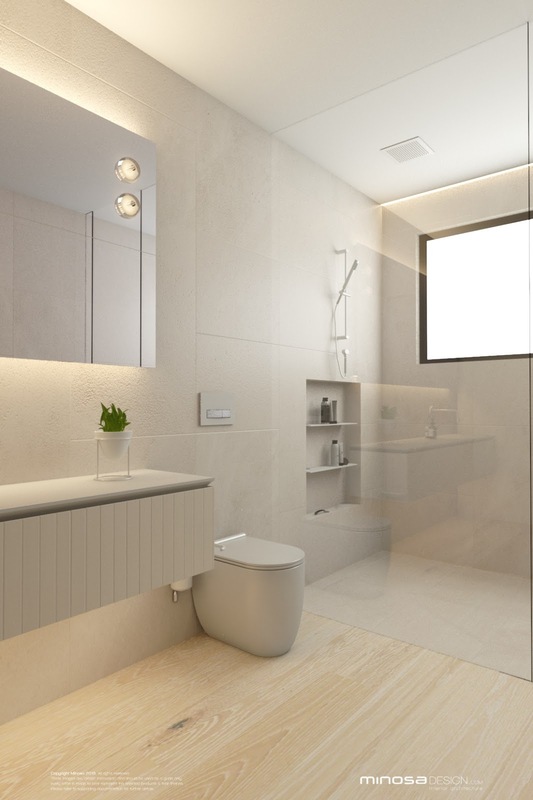 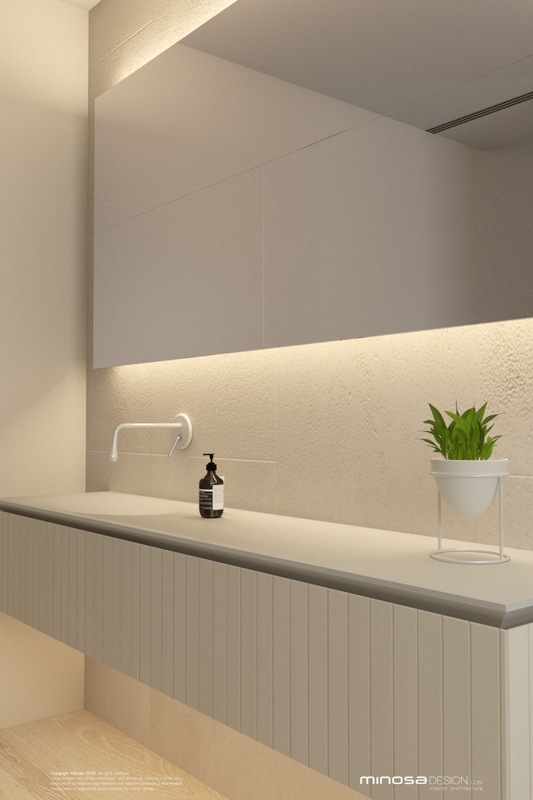 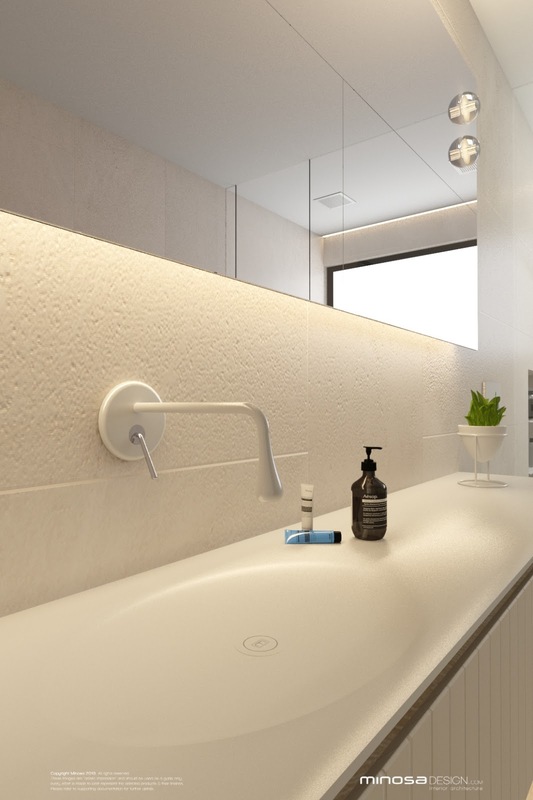 Bathroom design by nature can get really busy, there are more and more items to include in the modern bathroom design as we all begin to realise that this is the ONLY room in the home you get to be in alone - privacy....how indulgent. 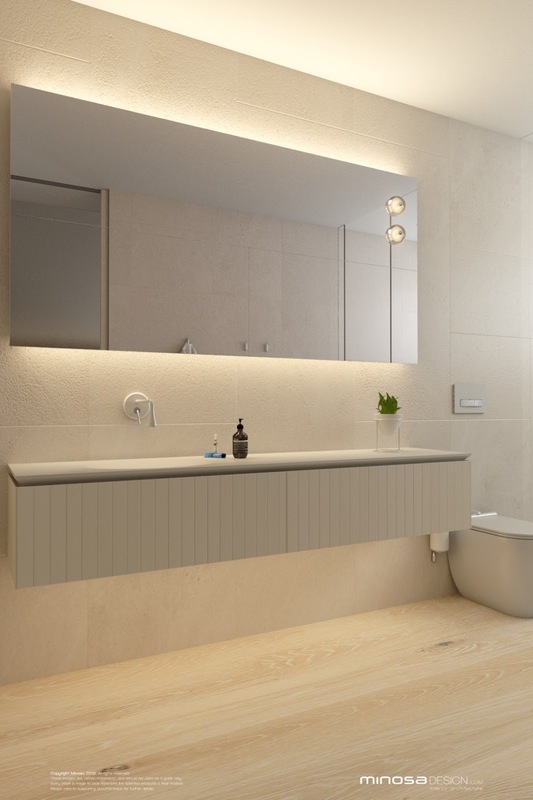 We have given everything its home in this new bathroom design, the mirror cabinets are large scale lift up doors so there is a home for all the small personal effects that are at eye level and single product deep so we can not "collect" excess products. 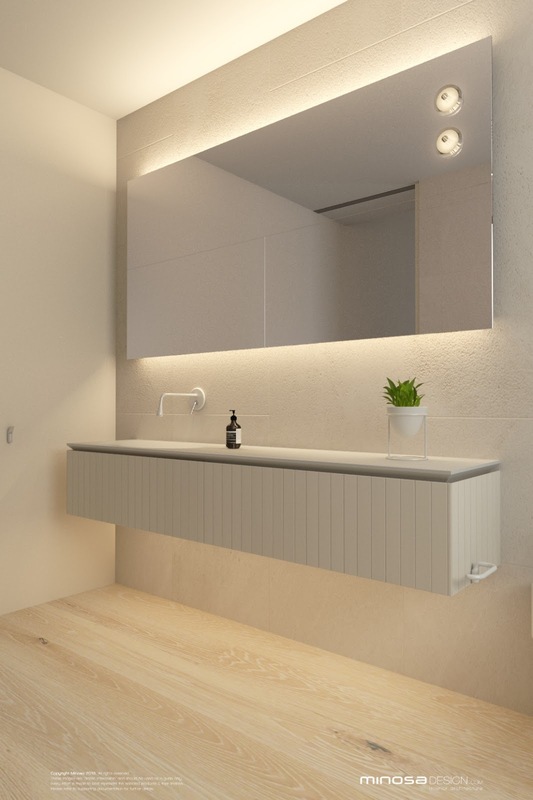 There is space under the Minosa washbasin for all of the cleaning products and there is also a drawer for a spare set of towels....keep it local we say!! 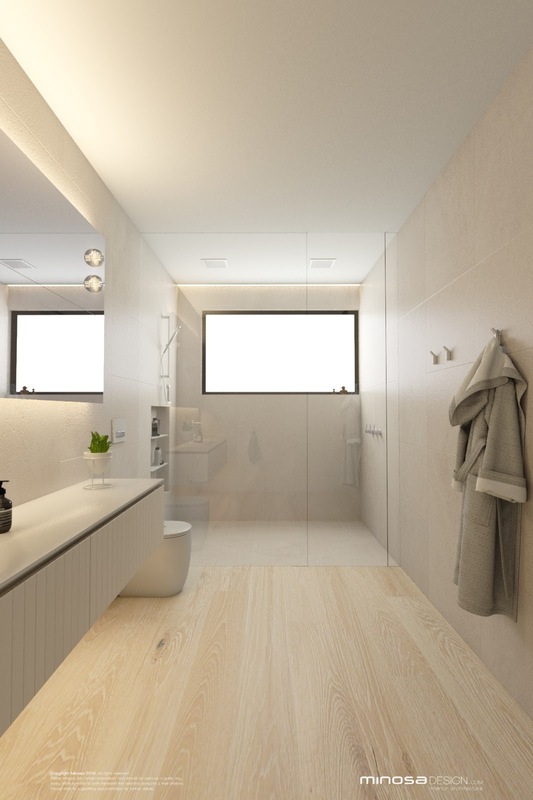 All in all we love this bathroom space - the refined lines and single access transition space make it easy to use and simple in its function - the large walk in shower is inviting.